AutoCAD LT (AutoCAD "lite" version) is still used by many companies who require compatible AutoCAD DWG design software, but have no desire to pay several thousand dollars for a single license of the worlds most expensive mainly-2D design platform. progeCAD is design software not sold by Autodesk but distributed through other companies like CADDIT. progeCAD offers native DWG editing and most commands found in the full version of AutoCAD, including their own AutoLISP interpreter, VBA and C++ (SDS/ADS) frameworks. How do these two products compare regarding features and cost? Feature comparison: progeCAD actually offers many features missing in AutoCAD LT. Most of these are features which Autodesk deliberately removed from AutoCAD LT to redirect users back to buying AutoCAD. 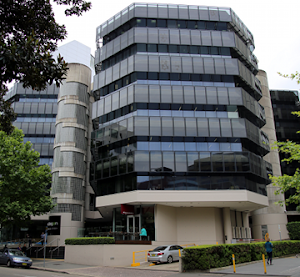 These features include full ACIS 3D modelling and rendering, user profile support and the aforementioned LISP, VBA and C++ interfaces. However, AutoCAD C++ add-ons will need to be edited and re-compiled by the supplier before they will run in progeCAD. progeCAD also supports AutoLISP protected by AutoLISP encryption security. progeCAD also offers extra features like Google Earth KML, SVG and PDF file export. Performance comparison: AutoCAD LT can run a bit faster than progeCAD, although that differs form drawing to drawing, depending on elements, layout, size and complexity. progeCAD, however, can have a somewhat smaller resource footprint on RAM and disk space requirements. As of progeCAD 2009, both programs offer paper size visualization in layout mode, right-mouse button context menus, a spelling checker and quick dimensioning. Cost comparison: This depends on local markets, exchange rates and promotions, but generally speaking AutoCAD LT costs three to four times more than does the Professional edition of progeCAD. Both systems offer a download version for users to try for themselves. progeCAD can be downloaded HERE, from CADDIT directly, or from many other sites. 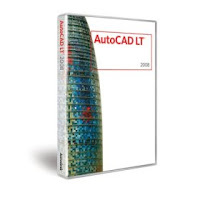 AutoCAD LT is available from the Autodesk website.